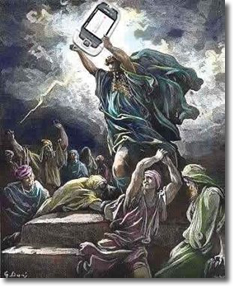 One of our Library users has shared a concern with the Library Staff over cell phone use in the Library. Please be considerate of your fellow Library users, and follow the two simple guidelines below regarding cell phone use in the Library. 1. Set your cell phone to vibrate or silent mode. Thanks for your consideration and cooperation! 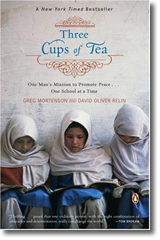 Three Cups of Tea: One Man’s Mission to Fight Terrorism and Build Nations… One School at a Time by Greg Mortenson and David Oliver Relin. Penguin (2007). After author Greg Mortenson failed in his attempt to climb to the summit of K2, the world’s second tallest mountain, he began his descent. He became lost, disoriented and dangerously ill but stumbled upon an impoverished Pakistani village named Korphe, where he stayed for seven weeks among the Balti people who looked after him. As he left, he promised to return and build a school for them. This is the story of his work to fulfill that promise, and of his success in building 50 other schools for girls in Pakistan’s and Afghanistan’s poorest communities. In this personal story about globalism, Mortenson portrays the lives of village elders, mujahideen and Taliban officials in this remote area of the world. He argues that the US must fight Islamic extremism in the region by collaborating to alleviate poverty and improve access to education, particularly for girls. It is also a story about a meaningful life created by one committed person, a mountain climber who became a humanitarian. 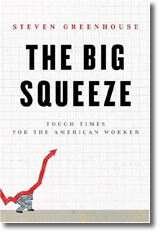 Also available in audiobook format at Ford Library.